Presentation 1: Innovate Durban Programmes. Presenter: Buhle Ngcobo - Project Coordinator at Innovate Durban. Innovate Durban is a non-profit company aimed at stimulating innovation within the Durban region. 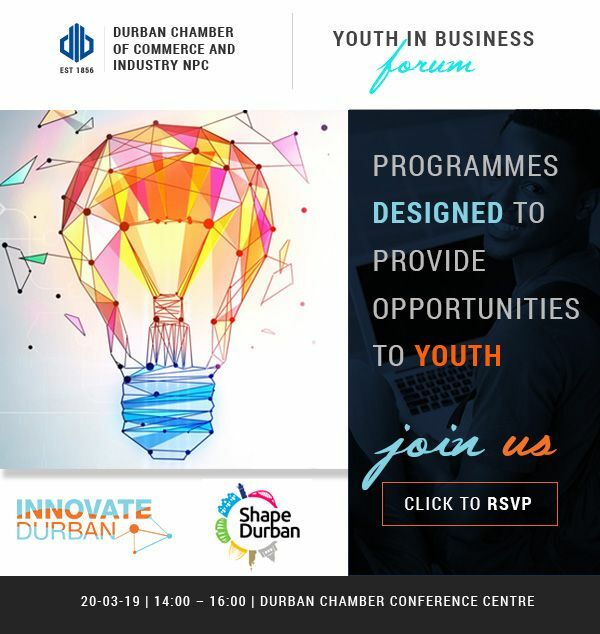 Its focus is to support and promote innovation by creating platforms that will build and develop the innovation ecosystem in Durban. Innovate Durban was set up by the eThekwini Municipality 4 years ago in an effort to create a conducive environment for innovation. Presentation 2: Key outcomes of Shape Durban and appetising opportunities for youth. The Shape Durban Conference brought together government and external stakeholders to provide input into developing a joint plan of action to address economic challenges, define the youth’s role in the growth of the City and look into Economic Transformation and the role it plays in eThekwini’s economic development. Delegates got an opportunity to come up with collaborative actions, exploit synergies and create a sense of a shared future between eThekwini and all its partners. For further information contact Lieketso Selela or call 031 335 1000.